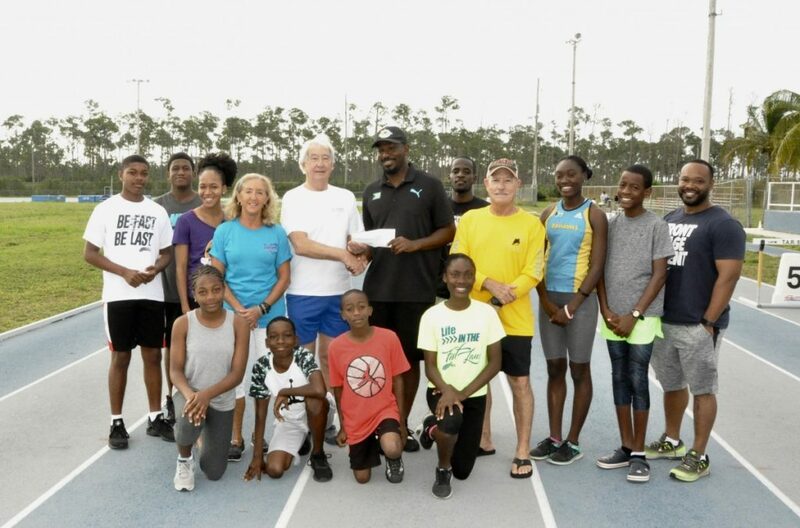 Freeport, Bahamas – As part of their mandate to support organizations that focus on Youth and Sports, the GBPA Conchman Triathlon began their donations with the Grand Bahama Amateur Athletic Association (GBAAA). The GBAAA uses all its donations to help purchase track and field equipment as well as cover the athletes’ travel expenses to Nassau and other islands for competitions. The GBPA Conchman IronKids Competition is a mini version of the full triathlon. The event is held in November, during the Conchman Triathlon, and many GBAAA distance runners use the competition to prepare for race season. The IronKids is open to young athletes up to twelve years old, and the Secondary School Challenge is open to all high schools on the island. Registration for the 2019 IronKids, Secondary School Challenge, and Conchman Triathlon is now open. For more information about the competitions, visit www.conchmantriathlon.com.